The collections of the museums in the Allier reflectes diversity richness of the Bourbonnais. 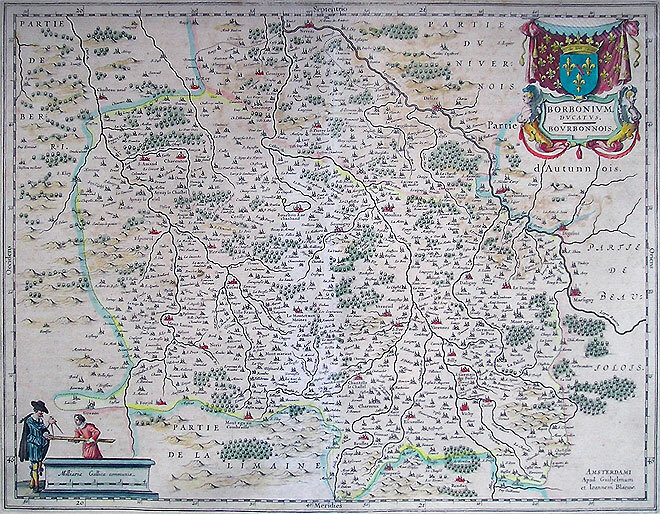 Map of the Duchy of Bourbonnais – Cusset Museum. Designed by Guiljelmum and Joannem Blaeuw (his son), published in Amsterdam in the mid- seventeenth century.